In the past few years, feline festivals have started popping up from coast to coast. While every event is unique in its own way, all have one thing in common: they bring cat lovers from all walks of life together, dispelling the age-old myth that cat people are social recluses who never leave their homes. Many of these events also offer resources and workshops on feline advocacy, leaving visitors feeling empowered to help vulnerable cats and kittens within their own communities. Last year, Catsbury’s inaugural event gained so much traction that it has already earned the title of the largest cat convention in the East Coast. In addition to more celebrity cats, adoptable rescues, music, vendors, seminars and delicious vegetarian food, this year they’re upping the ante by boosting capacity, adding vendors and including a cat lounge. Pop culture loves cats, and PopCats is a celebration of both. Since its first event in 2017, it has attracted thousands of visitors to Austin, Texas, treating them to adoptable felines, hard-to-find merchandise, music, art, and seminars by some of the cat world’s coolest humans. PopCats returns to Austin in the spring, and in September, Oregonians can get their share of the feline fun in Portland. 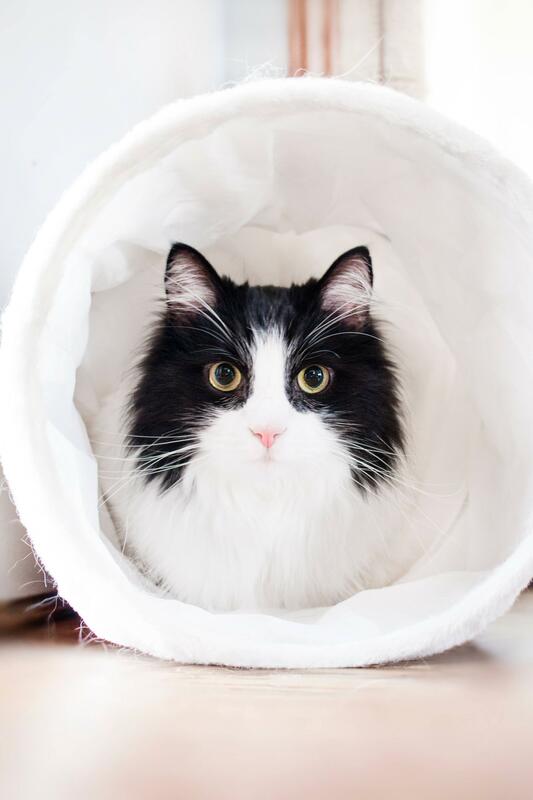 The Edmonton International Cat Festival was the first of its kind in Canada when it started in 2014, and has since raised $81,000 for local feline rescues. This year, visitors can look forward to an array of exhibitors, cat yoga, a kitten play-pen, and various family-friendly activities. In partnership with television’s favourite cat behaviourist, Jackson Galaxy’s Cat Camp returns to the Big Apple this June for a weekend of shopping, inspirational seminars, and adoptable felines. Christina Ha, Cat Camp creator and co-owner NYC’s first cat café, named the event in homage to communal gatherings around a campfire. Known for its focus on animal activism, it’s quickly becoming a beloved tradition for the new generation of feline advocates. After a sold-out inaugural event in Vancouver that raised over $10,000 for local rescues, the Canadian West Coast’s first cat festival returns for another fun-filled day of celebrity cats, shopping, presentations, photo ops and delicious food truck eats—this time, in Toronto. The all-star (fe)line-up includes Venus the Two-Faced Cat, Kitten Lady and Nala Cat. From the creators of Snowcats in Denver comes Silicat Valley Cat Convention, a day of music, art, shopping and of course, cats! Live in the Bay Area and want to join our team of volunteers? Email us at info@silicatcon.com. What cat events would you love to attend this year? Tell us in the comment section below!